Last week, I went to lunch with a business colleague. As we were talking, I mentioned that I was in the midst of writing a book targeting makers. “What’s a maker?” He asked. After pondering the question for a few seconds, I realized it was actually a really good question! What is a maker? I could say that it’s people who tinker with hardware platforms such as Arduino or Raspberry Pi, but that’s a rather narrow definition. What about the man who builds an aquaponics system? Is he a maker too? Or the girl who knits hats, is she a maker? Does her knit hat need to include electronics for inclusion in the realm of makers? Placing a definition on ‘maker’ is actually harder than it looks. However, if you subscribe to Make Magazine or ever visit a Makerfaire, you will learn pretty quick that the term “maker” is rather broad. A few years ago, I saw makers blowing glass, forging swords, and knitting blankets – hardly ‘tech savvy’ projects, but still makers. Of course, I saw countless tech projects such as Raspberry Pi clusters and IoT devices too as well as jewelry makers using circuit boards, artists drawing robots, and things made of Legos. So what is a maker? The best answer I can come up with is that a maker is someone who uses the tools and materials around him or her to make something useful or even just novel. It’s being part of a movement that empowers people to solve problems on their own. Makers are the people you want to be with when the world ends – because they’ll have the tools and knowledge to rebuild society. Makers are the people who caused the renaissance – great minds like Leonardo DeVinci. Makers are the jack-of-all-trades men and women who can program a micro controller, 3D print a case, and use it for the robot they cut, welded, and painted themselves. As a business, why should you care? What difference does it make to you? Makers are the people in your organization that will solve the problems to move your business to the next level. They are the men and women who poke something to see how it works and how they can improve it. They are the problem solvers you want on every team in your organization because they are the thinkers that will create the great things of tomorrow! In 1974, a Hungarian invented one of the most popular and influential toys of all time, the Rubik’s cube. Considering that I was born well after that time, I can safely say that I cannot remember a time without this toy. Growing up, however, I watched the Rubik’s company try to make toy after toy in some way related to the original, but they always tried new and “innovative” renditions. Since my family members always knew how big of a Rubik’s cube fan I am, I would get all kinds of these newer toys as birthday and Christmas gifts. While many of them were flashy and initially interesting, I ultimately grew tired of them and would go back to playing with the original. After all, the original was fascinating… captivating even, and I was determined to learn how to solve it. After spending a considerable amount of time experimenting and playing with my cube, one of the teachers at my elementary school gave me a list of algorithms showing how to manipulate individual squares in very specific ways. The summer after, I accomplished my goal to learn to solve the cube, but I was still hungry for more. While my first few solves averaged around 10 minutes, I wanted to continue to get better and faster. I studied and fine tuned my process of solving the cube, realizing that at a certain point the design of the cube itself was holding me back. I then looked into what other cubes were out there and how they were designed to be more efficient and effective. These days I solve the cube in under a minute, and the best people in the world can solve it in a matter of seconds. Constantly evaluating and enhancing processes and expanding resources also holds value when thinking about technology and business. Businesses that are growing very rapidly today focus their time, energy, and resources on making gradual improvements, becoming more resourceful. By learning from this, organizations can ensure that they are effectively working toward their goals, accomplishing more by using the most effective resources to the best of their ability. Recently, I read an article on LinkedIn questioning the notion that good developers are those who write code outside of business hours – not for their job, but for their own interests. The article suggested that you could be a great developer and go home and pursue other endeavors – that it was unfair to expect that your best developers are writing code at home. I could not disagree more. Sure, a person can be a competent developer and only write code during business hours. But I assure you that such a developer will never be considered a “rock star” programmer. Those who are the best in their field are always those with passion – and passion is not a 9-5 job. The article tried to compare programming to carpentry. It asked if we would expect a carpenter to be engaged in woodworking at home to to be considered competent. That seems silly to me. If I’m looking for someone to create a complex piece of wooden cabinetry with hand carvings, I can assure you I’m looking for an artisan with a passion for his work – one who has honed that skill through years of hard work outside his 9-5 job. I have a good friend who is a musician – a highly skilled performer who makes everyone he plays with sound better because of the mastery of his art. Music is his passion. He didn’t get that skill working 9-5 – it’s what he loves and it shows when you hear him perform. Listen to any business leader talk and what do they all talk about? Passion. It’s passion that brings forth the best in humanity. It’s a deep love of what we do that allows us to become a rock star in our field. In every corner of life, those with passion are the ones we remember – Steve Jobs, Mother Theresa, Grandi, Tom Brady – people passionate about their work. Want to be remembered by history and admired by your peers? Be passionate about what you do and remember that passion is not a 9-5 job. All businesses share the same basic objective – to make money. That’s pretty simple, but what enables that to happen? Business leaders focus on increasing revenue, decreasing costs, increasing efficiency, ensuring compliance with regulatory guidelines, and finding and exploiting any competitive advantages they have. Of all the above objectives, one of the easiest is to increase efficiency and remove inefficiencies. Most people hate bureaucracies – we see them when we look to the federal government, the DMV and, all too often, the very companies we work for. Bureaucracies make us feel powerless and unimportant. They beat us down with rules and restrictions that keep us from accomplishing our job. Bureaucracies are the very antithesis of efficiency. In your business, are policies and procedures intended to chain your employees down, or liberate them to do the work you pay them to do? Are your processes streamlined for the mission at hand, or dictated by bureaucrats above in such a way as to slow down your business? As businesses grow, they tend to become more rigid and bureaucratic – more layers of management, more company ‘yes men’ who won’t challenge the status quo, and more workers who show up and punch the clock instead of having any excitement for the mission of the organization. Ever work at a small businesses? The focus is always on overtaking the Goliath in the market. Policies and procedures that prevent that from happening are removed, workers are empowered to do their best. People have a shared sense of purpose, and often develop a feeling of family. What can we learn from these observations? First, if you’re a leader within a large organization, how can you remove red tape and empower your people? What do you need to do to ensure that your people are working at their best? Are you creating roadblocks to your employees’ work? Employees want to feel empowered – they want to feel that their leaders are on their side. They want the bureaucracy removed so they can do their best. Second, if you work in a small business, recognize that your lack of rigidity may be the single biggest competitive advantage you have. With no bureaucracy to hold you back, you can find the best way to accomplish the mission and execute without roadblocks. Empower your team to win and then step back and watch them achieve. As a small business, your best way to attack Goliath is through superior processes, quicker turn around, less paperwork, and having employees that feel empowered to accomplish the mission. No business owner ever said “I think the federal government would be a great model for how to run my business!” but that is exactly what happens to businesses all across our nation. It’s time to change that trend! I recently saw a job post for a computer programming instructor. The post required that the applicant have a masters degree as well as four years of professional experience. I was a little shocked by this. Does four years of experience in programming really qualify someone to teach others? To become a Master Electrician in New York takes a minimum of 7 and a half years of experience. To become a Master instructor in Taekwondo can easily take more than 10 years in most organizations. Mastery of most tasks takes a substantial amount of time – and programming is no different. To make it more difficult, programming projects tend to be long-term – often taking a year or more just for the initial release. This means that during a four year term of employment with a company, a programmer may only actually work on a very small number of projects. When I think of a teacher, I think of someone with a breadth and depth of knowledge on the task. Someone who has mastered all tasks associated with the subject they are teaching. But after four years, I don’t believe that any programmer could be said to be a master. In fact, in most organizations, titles like senior engineer would be reserved for developers with far more than four years of experience. Why does any of this matter? It matters because it shows part of the problem we have finding qualified programmers to fill positions. After all, how can we expect students coming out of our universities to have any meaningful skill in development if their instructors never ascended above the rank of junior developer? How can someone who never made any meaningful contributions to the architecture of an application mentor others on how to do so? Instructors should be those most qualified among our engineers who have spent decades writing code – men and women who can tell you about several languages, talk about the evolution of programming through their own personal experience, and talk about how they solved a wide variety of problems. Instructors should have a portfolio of applications and organizations they have impacted and understand software engineering, computer architecture, and all aspects of the software development lifecycle. If we settle for less in our teachers we are setting our students up for failure and ensuring that we will continue to see more tech jobs outsourced to countries that can do a better job educating the next generation of developers. A major problem with many projects is the quest for perfection. We don’t want to release a software application until it looks perfect, there are no bugs, it’s fast, and the user experience is flawless. And that’s a great ideal for any project. Unfortunately, the quest for perfection invariably adds scope-creep. What was originally deemed a good design is now less than perfect and requires tweaks. The performance is just not fast enough yet, so we’ll tune the servers. An executive decided there is a new piece of required functionality that simply must go in. On and on we go, and the app release is pushed back further and further. Projects can go on for a year or more before being released. Certainly we want solid software applications, but what does this quest for perfection bring us? In the end, very little of value. As release dates get pushed back, the customer begins to lose faith in the abilities of the development team to deliver. Increased time-to-market means we miss opportunities to sell our product. Increased release cycle times make us less responsive to user issues we didn’t see. These problems are among the issues solved by agile development. 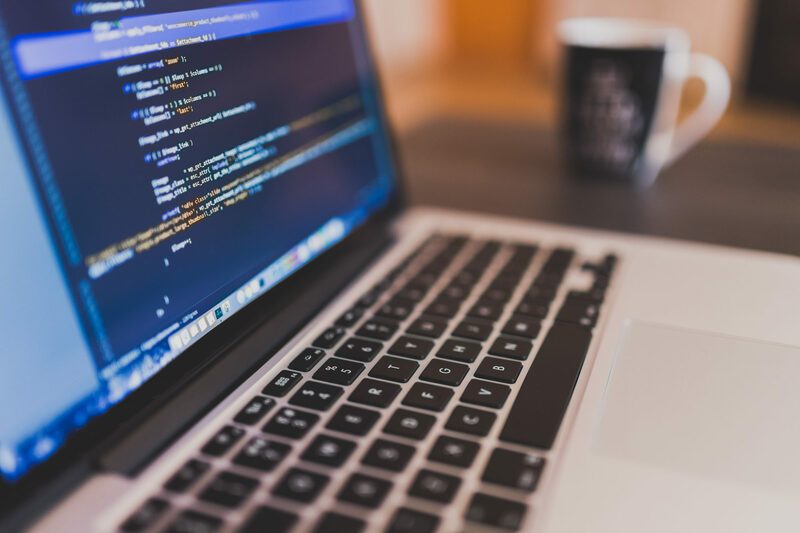 Frequently releasing code means that users can start getting essential functionality quicker, time-to-market is diminished, and teams can react to changing user requirements quickly. But to get there, we have to determine what the minimum viable product is and accept that things may not be perfect. We need to accept that our initial version will not be the best there is, but that it’s good enough to do what we set out to do. Understandably, this may feel uncomfortable to the perfectionist in us – after all, we want to give our absolute best. We want a product that we can be proud of and that the customer is dying to have. But if we wait, with delay after delay, we run the risk of having the best app that will never be used because someone else beat you to it. Why Do I Write Code? Today, I was read an article asking why you do whatever it is you do. If you are trying to sell to a customer, they’re not interested in what you sell but rather why you sell it. You may sell widgets, but people don’t buy widgets for the sake of having widgets – they buy widgets for whatever it is they do – the why. In my business, people don’t buy code – they don’t care about code. What they do care about is the why. Why do I write code? I write code to simplify business processes, to improve operational efficiency, to increase revenue, to ensure compliance with regulatory guidelines, and to simply make my client’s life easier. People buy those things! As a business, wouldn’t you pay for operational efficiency, increased revenue, and easier compliance management? Software can have an impact on every facet of a business and take your business to the next level. Don’t waste your time doing tasks that aren’t generating maximum revenue for your organization – find software solutions to solve those problems so you can spend your time having a real impact on your business by focusing your talents where they will generate the most revenue! Today, I was reading some advice from Simon Sinek. He says we should always work to outdo ourselves. Don’t focus on others, don’t strive to be number 1, don’t compare yourselves to others, compare yourself to you. Are you making progress? This is great advice in the tech world as well as the business world. Sure, I can be disappointed that my company isn’t as big as Microsoft yet. Or I can compare where my business is today to where it was last year and ask if I’m making progress. If you are a programmer, is your code better today than it was a year ago? If you are a system administrator, are you better with Windows administration than you were a year ago? If you’re a network admin, do you understand Cisco routers better than last year? If the answer is no, why not? Unfortunately, too many people in the world today spend too little time advancing their skills. Then, when it comes time for a raise, they wonder why they didn’t receive what they expected. How do you make progress in the tech world? It’s actually not hard. Read books, see what people are posting on Twitter, write code (if you’re a programmer), attend conferences, tinker with new hardware, etc. Skill only comes with practice! I read someone else say that things are either green and growing or brown and dying. This is certainly true of skills. Use them or lose them. If you’re not advancing your tech skills, those skills will atrophy. If you want to achieve excellence in your field, challenge yourself to be better today than you were yesterday and then take action to ensure it happens! In the late 90’s, I attended the Army’s Primary Leadership Development Course, which was a requirement for promotion to Sergeant. This 4 week course included classes on leading physical fitness training, marching troops, compass and map reading (including a required night land navigation course), and other tasks necessary for leading soldiers in battle. Throughout the courses on leadership, the distinction between a leader and a manager was made clear. Of course, outside the military, I think most people would say they are synonyms. In the Army, leadership is defined as direct management of troops while management is indirect. What does this mean? It means that a leader directly interacts with his or her subordinates and a manager does not. A leader eats lunch with his team, a manager does not. A leader knows what’s going on in the lives of his team, a manager does not care. I don’t want to infer that management is in some way bad. We need managers – people in positions behind the scenes that move the wheels of an organization. But even more so, we need leaders. We need people who others aspire to be like, a person who inspires his team to great things, an individual that encourages others to be more than they currently are or even think they can become. For a leader, an individual will work extra hours, come in on Saturday, and end up being happy about it! In my entire career as a software engineer, I have found few people that meet these ideals. I’ve seen many managers, but few actual leaders. Indeed, in the software world we see titles like “Director”, or “Scrum Master” – neither one shows any sense of leadership. The title “Scrum Master” would never be chosen by a real leader because it suggests an incredible amount of superiority over the team. Leaders are part of what’s going on. They are doing what they tell others to do. They are protecting the members of their team. They are encouraging their team to do more. They are not above the action, they are an integral part of the action! Aren’t those the people you want to work for? The people you hope to be like? If you want employees to take your business to the next level, employees who are committed to your organization, empower them by ensuring the leaders you pick know how to lead – not just manage – those in their care. Talixa Software & Service, LLC. develops cloud and mobile applications for businesses and consumers. Thomas Gerlach has been working with technology for over 20 years and is an expert Java developer.